SMWBA18 active PA subwoofer 46 cm (18") Bi-amp 1000W max. | at the Best Price! 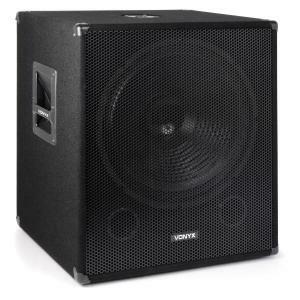 SMWBA18 active PA subwoofer 46 cm (18") Bi-amp 1000W max. 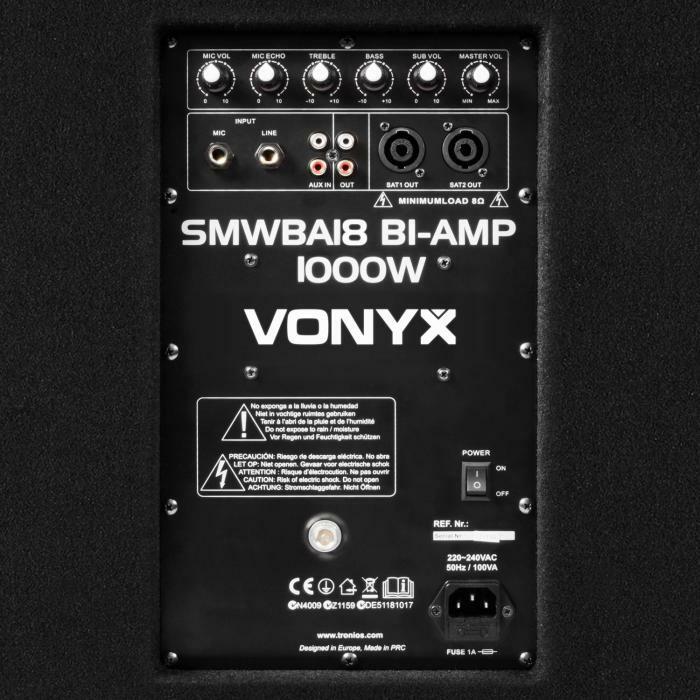 SMWBA18 active PA subwoofer 46 cm (18") Bi-amp 1000W max. The SkyTec SMWBA18 is a stage PA active subwoofer with professional design, high performance potential and high functionality. 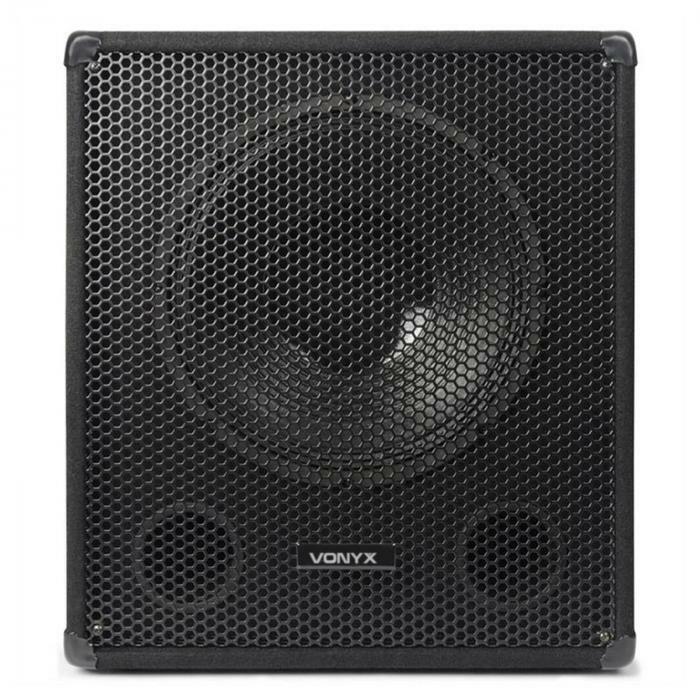 This subwoofer is solidly constructed and produces high quality, thundering bass tones. The PA speaker reaches the power limits with the help of two integrated full-range amplifiers, that enable the system to operate on a power level of 1000 watts max. load. Thanks to the 2-band equalizer the sound characteristics can be customized to your personal preferences and the event. Other controls, for example, microphone volume and echo effect, can be found at the back of the subwoofer. A professional set of jack, RCA and PA jack connections allows for the low-frequency speaker to be used in larger and standard audio setups and enables a signal feed from line sources such as CD and MP3 players and computers but also a microphone connection. Using the standard flange the Skytec SMWBA18 speakers can combine with a speaker stand mount to create a 2-tier speaker. The side-mounted carrying handles make transporting the speakers easy. The robust bass reflex cabinet has a protective acoustic fabric and metal edges. A metal protective grille protects the membrane from physical external influences.